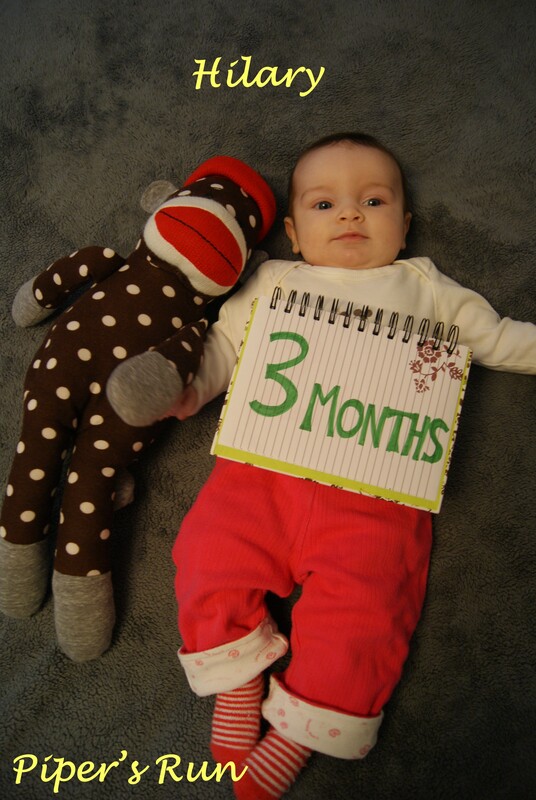 Hilary is now 3 months old (as of Sunday March 3rd) and most days I cannot believe we have two beautiful girls in our lives……We sure are lucky. 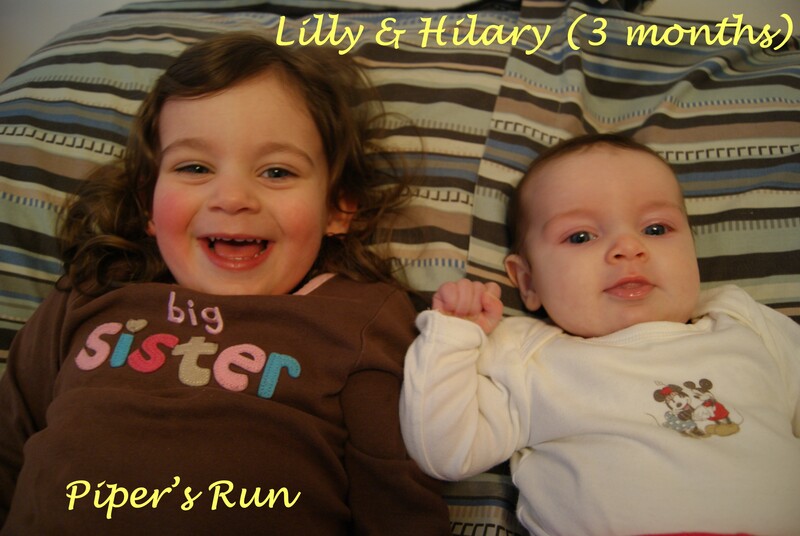 Seeing her sister’s face – she just lights up and smiles! Hilary is coming into her own personality and such a happy girl. She wakes up with a smile on her face and is curious of her surroundings. Big sister Lilly still loves her and can’t keep her mitts off her face and hands; a little poke here and a kiss or two there. Our Monkey Update: 1 & 2 months. Love that you’re taking her photo with the monkey each month. What a great way to see how much she has grown!